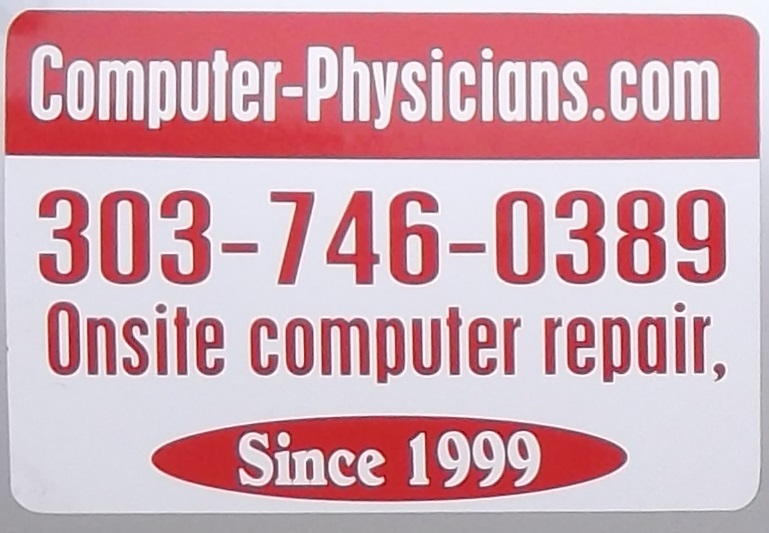 Computer Physicians servicing Boulder, Colorado provides PC Computer Repair, Data Recovery. Servicing Boulder, CO, since 1999. Working with all versions of Microsoft O.S. From DOS to Windows 8.1, Server 2012. Troubleshooting, maintaining, customizing application programs such as MSOFFICE, ACCESS, EXCEL, WORD, QuickBooks, email programs, Outlook, Outlook express, etc. Troubleshooting and maintaining networks-wireless, wired, router setup, switches, cable modems, CAT 5e cable installations. Networking – managing users, groups, sharing, permissions, printers and troubleshooting the network. stand alone PC’s as well as workstations. Prompt, quality on-site help, training, service & repair, networking, upgrades, sales, troubleshooting. in Boulder, CO. In many cases we can be working on your computer the day you call, either at your location or ours. Since 1999. We are A+, and Microsoft Certified Professionals with advanced computer college degrees working with Windows PC operating systems, Network Security, Internet, Network setup, and troubleshooting in the Boulder area.